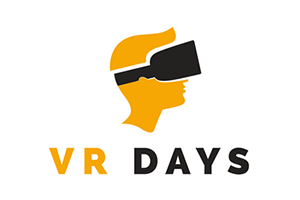 Taking place on 24-26 October, VR Days Europe 2018 is Europe’s leading conference and exhibition celebrating virtual, augmented and mixed reality (XR) business innovation and creativity. The answer, to be explored at VR Days Europe, is that it will deliver widescale business opportunities to an ever-increasing range of vertical market sectors. Over 140 of the world’s leading thought leaders and experts are participating in the event and speakers will include XR technology practitioners, ground-breaking creatives and technology developers. These include: David Helgason, Founder of Unity; Michael Buckwald, Founder of Leap Motion, Mel Slater, Co-Director of the Event Lab, Universitat de Barcelona; Miriam Reiner, head of the virtual reality and neurocognition lab at the Technion, Israel Institute of Technology and Jaroslav Beck, CEO of Beat Saber. All-access tickets for VR Days Europe 2018 are available for €299 ex VAT. For more information on the event, and to purchase tickets, please visit: www.vrdays.co. Dutch Games Association members get discounts on tickets, contact us for your code!